For over 40 years, Cooper Heating & Cooling has offered the heating & cooling, plumbing, and electrical services you can trust. Backed by the best guarantees in the business, you can count on the Green Team to provide quality home comfort solutions in Colorado. Based out of Broomfield, we serve the entire Denver, Fort Collins and Colorado Springs metro areas! Whether your heat comes from a furnace, a heat pump, or another heating system, you can depend on Cooper Heating & Cooling for all your heating needs. If you have a sudden problem just call us and take advantage of our No Heat, No Worries guarantee. We provide fast and effective heating repair, dependable heating maintenance, and the most professional heating installations in Colorado. Your cooling system works hard to keep you comfortable on the hottest days of the year. That’s why Cooper Heating & Cooling is ready to work hard to keep your AC unit running it’s best. 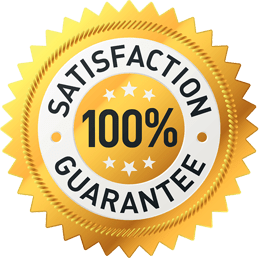 We offer repair service for immediate problems, ongoing maintenance for better reliability, and high-quality replacements when the need arises. Trust us for all your air conditioning needs! When it comes to electrical work, it’s best to trust the pros. Cooper Heating & Cooling’s experienced electricians are well-equipped to handle residential and commercial projects. Our electrical services include home wiring, ceiling and attic fans, lighting installation and repairs, specialty outlets, and much more! You rely on your plumbing as much as you depend on your heating and air conditioning systems. We offer a wide range of plumbing solutions, and specialize in water heaters. From drain cleaning to bathroom remodels to water heater installations, our master plumbers can do it all! Cooper Heating & Cooling looks forward to helping with all your heating and cooling needs in Broomfield and the Denver and Colorado Springs areas. 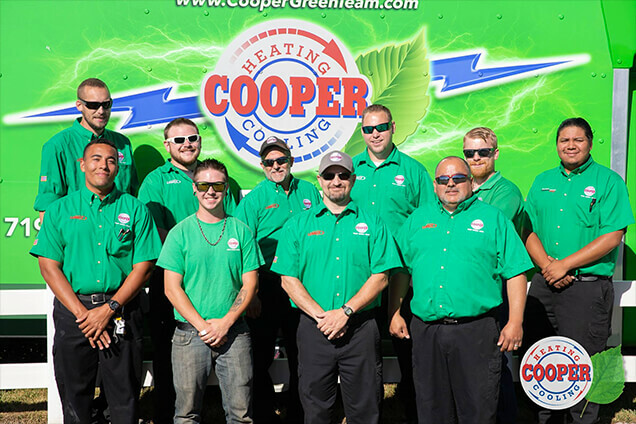 From heating and air conditioning systems to water heaters, plumbing and electrical systems, trust the Green Team!